After spending the last 18 years working for the M.O.D and in the private sector I am now a member of the Guild of Master Chimney Sweeps. 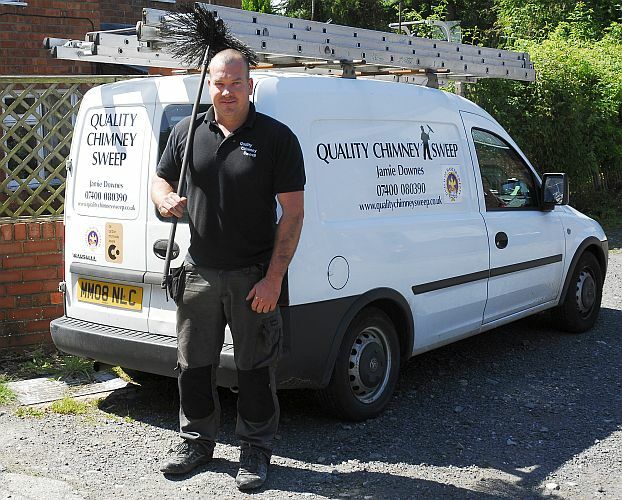 I am a professionally qualified and registered sweep who prides himself on delivering a knowledgable, clean, professional and friendly service using only the highest quality equipment and latest industry techniques. My service covers all areas of Shropshire and the Midlands at Very Competitive Prices. Clean chimneys are safer chimneys so it is very important that you always use the services of a registered professional chimney sweep to keep your chimneys working at peak efficiency and mitigate the risk of chimney fires. 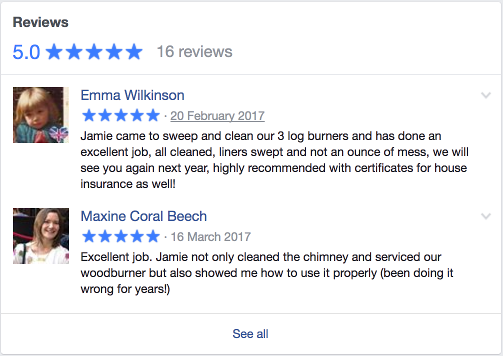 All work is fully guaranteed and on satisfactory completion I will provide a detailed insurance recognised certificate of chimney cleaning. For further information, or to make an enquiry, please use this form to send me a message! Please do not hesitate to contact me any day any time. I met up with Shropshire Fire and Rescue Service to create this video to help promote fire safety in homes and show people how a chimney is swept. The BurnRight campaign has come at a critical time, as the government is looking closely at emissions from domestic fires. I’m keen to lend my support to the campaign to get the message out there and inform stove users of best practise when it comes to burning fuel correctly. Burn Right seeks to help people who use stoves to get it right and make a difference to the air quality where they live. Not only is this good news for the environment, but users will save money, their chimney will be cleaner – and therefore safer – and the chimney and the stove will last longer too. For a full guide, go to the BurnRight website – complete with video demonstrations which explain everything. “Get it Right” at: www.BurnRight.co.uk.